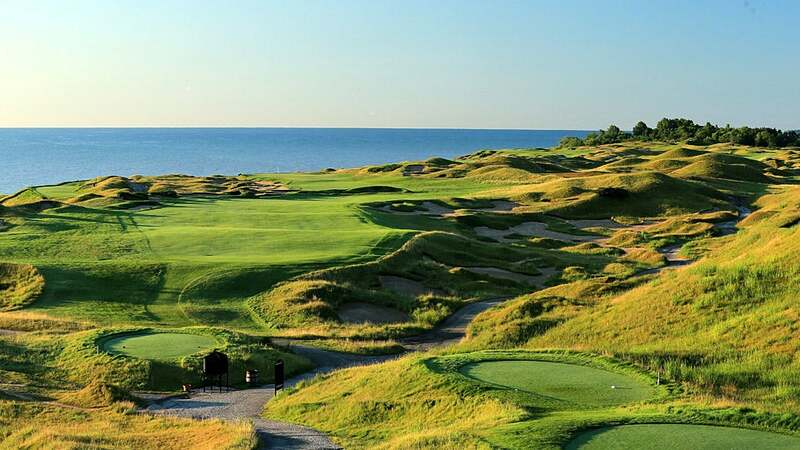 Venue for the 2004, 2010 and 2015 PGA Championships, this 1998 Pete Dye design on Lake Michigan was once a poker table-flat military training base in World War II. Eventually it became a site for illegal dumping of toxic waste. Dye and owner Herb Kohler engineered a mind-boggling cleanup, moved 3 million cubic yards of dirt, trucked in 7,000 loads of sand to create the hills and bunkers and relocated the bluffs farther back from the shore. All Kohler told Dye was "I want the course to look like it's in Ireland." Mission accomplished.